RIO DE JANEIRO (AP) — Inside the Olympic Park, there are ramps, strategically placed railings, tactile paving inside venues, and more. It’s evident that experts designed the grounds for the Summer Games and Paralympics to be accessible to people with disabilities. But outside the venues is a different story. For those with disabilities, navigating Rio de Janeiro can range from inconvenient to daunting, something Brett Gravatt can attest to. 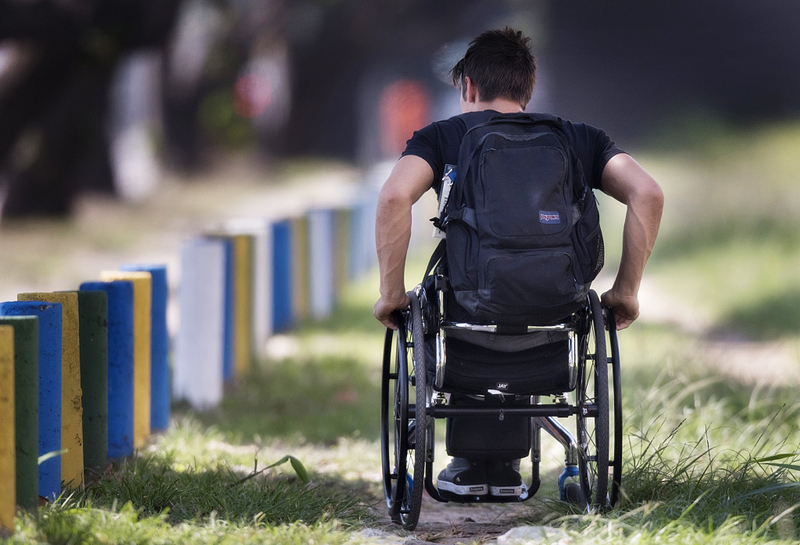 Gravatt is a student at Penn State who uses a wheelchair and is part of a journalism class visiting Brazil to help supplement coverage of the Paralympics for The Associated Press. Though the students are staying in a business hotel close to the main grounds, the morning commute for Gravatt through a recently developed neighborhood involves navigating his way down a dirt path, through weeds, rocks and tree roots. His classmates walk along a sidewalk that is not smoothly paved, but made of flat stones, each several inches high, with a big space between them. “Separate but equal,” Gravatt jokes, as he makes way to the rapid transit station, which has a handicapped entrance and space on the bus for a wheelchair. It’s just a taste of what life in Rio — a place with glaring contrasts between haves and have nots — is like, advocates for the disabled community say. While some improvements have been made to the sprawling city of more than 6 million to improve access for all its citizens in the run up to the Olympics and Paralympics, including a new commuter rail line, even organizers agree the situation is far from perfect. It doesn’t take much to make life harder. On a recent night at the track and field stadium, for example, someone parked an official Rio 2016 car so close to the access ramp that no one in a wheelchair could use it — instead leaving a curb at least 3 inches high to negotiate. And even in Centro, Rio’s upscale downtown neighborhood, the mosaic-style sidewalk does not lend itself to anyone in a wheelchair or who has trouble getting over uneven surfaces. 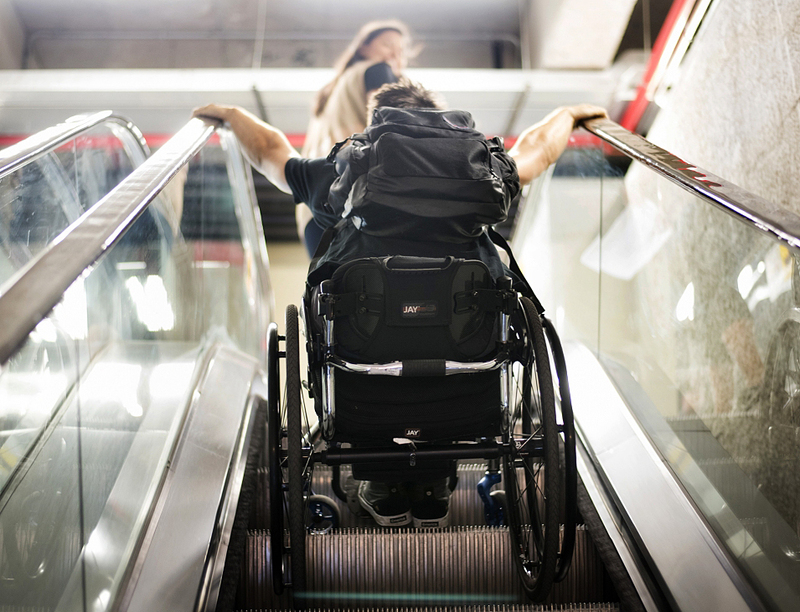 On paper, the rights of the disabled are well-established in this nation of more than 200 million people. The issue is far worse for the city’s poor, she said. “If you live in a favela you often have to stay home unless you have friends or family to carry you in and out,” Costa D’Amaral said, a narrative 38-year-old Carmen Lucia Mansur knows well. Mansur was born with a congenital birth defect affecting her legs and limiting her mobility. Mansur has four children, and her 18-year-old son, Yuri, was born with the same birth defect. Both Mansur and Yuri have undergone multiple surgeries, fully covered by the Brazilian government, to improve their condition. Mansur’s abilities have improved dramatically, whereas Yuri’s have not. The young man must rely on crutches to walk. As a result of many medical absences Yuri has been held back in school. At age 18, he began high school this year. He was initially set to attend a local school with his neighborhood friends, but discovered that the school only had stairs and was not accessible. So he had to attend a different high school, Frederico Fellini, because it was equipped with ramps. But that caused another problem: Although the school itself is more accessible, getting there is difficult. Mansur met with the principal to request transportation for her son because of his disability: That was denied. The principal says the school doesn’t provide transportation to anyone. Yuri attempted to take the public bus to school on his own, but found that, once he made his way to the distant stop, if he was alone the driver would not stop. “I worked for three years, then I had to choose between work and my kid who has a disability and I opt for my kid. Now I’m unemployed, and on a daily basis it’s difficult to get him on a bus,” Mansur said. Yuri said the greatest difficulty is when he gets off his bus and begins his journey home. He described making his way up 41 stairs. “I go up five or six steps, and then I take a break, and go,” he said. Costa d’Amaral is skeptical there will be long-lasting change made in the city as a result of the games.”I always said it was ‘errado,’ wrong, to ask to do the Paralympic Games in a city that does not respect disabled people,” she said. But Andrada says the city has come a long way in the past seven years, since the games were awarded to Rio. Mansur’s son Yuri noted that, at a time when Brazil’s government is in turmoil, it’s hard to tell whether the Paralympics will have a lasting impact. But they did in the short term.